This 95 year old Catholic High School in Oakland, CA raised funds for a major building improvement. 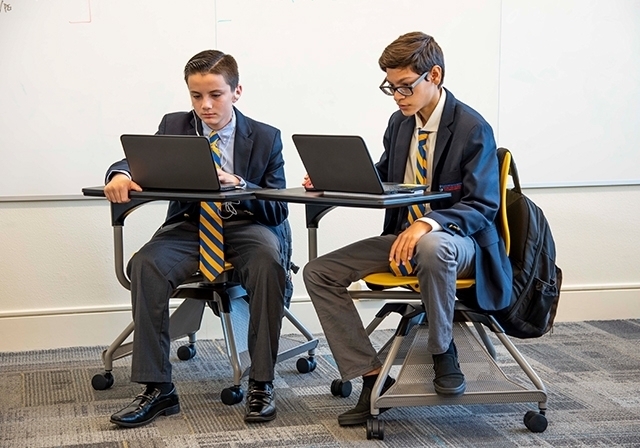 Both the Cristo Rey Principal and President were determined to change traditional school space and classrooms, into a warm modern learning environment. Education constantly evolves, and classrooms should too. Teachers and students learn how to make mobile furniture work for them to support active learning in the direct instruction setting. 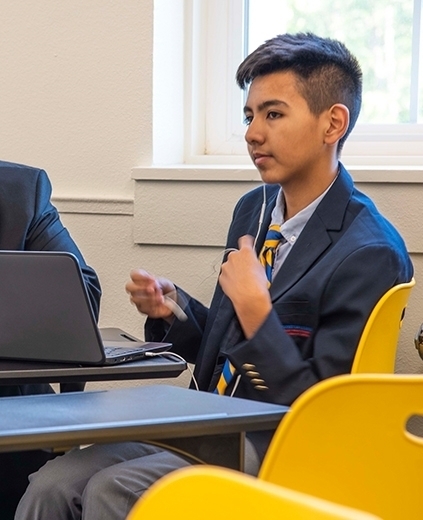 At Cristo Rey, respect is an important value. 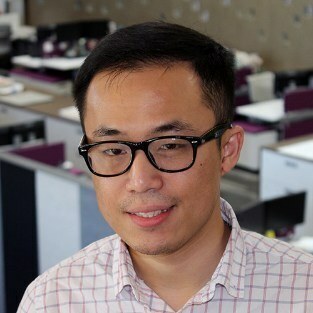 Resources provided are one demonstration of respect. 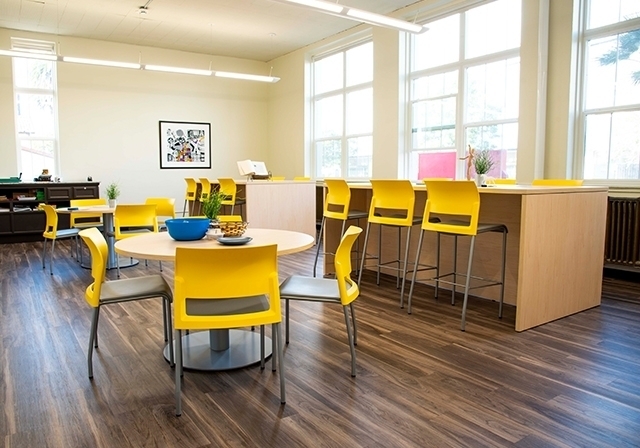 This "solarium" of a teachers' lounge is as flexible and colorful as any classroom, and provides some of the sustenance and respect teachers need. A favorite place of both students and staff is the Balcony Room above the auditorium. 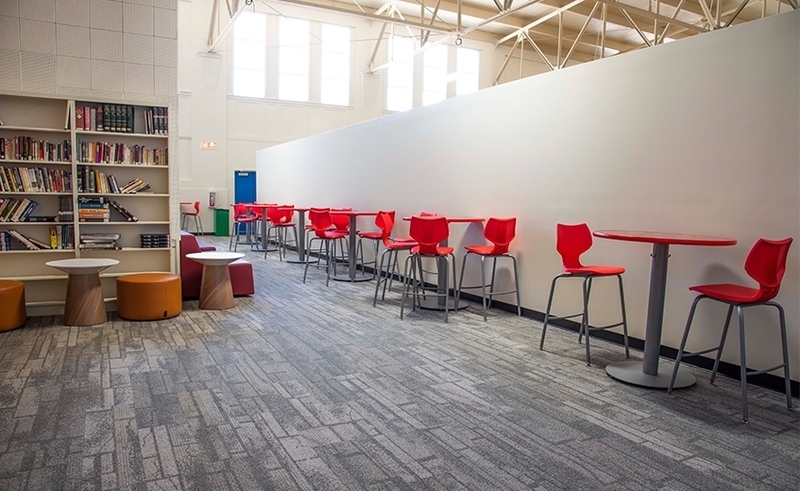 Murals and colorful lounge seating contribute to this social environment. Students learn collaboration and independent learning techniques in class and practice those throughout the day.